Staycations have now become a go-to weekend activity for couples, friends, and families in Singapore. But after having stayed at the same kinds of Instagram-worn hotels and cookie-cutter chalets for so many times, sometimes we just want to try a different kind of staycation that’s even more memorable. Like, a night on a yacht or throwing a ‘lit’ party on a boat. Sounds expensive, right? Well, that may be so probably 10 years ago. 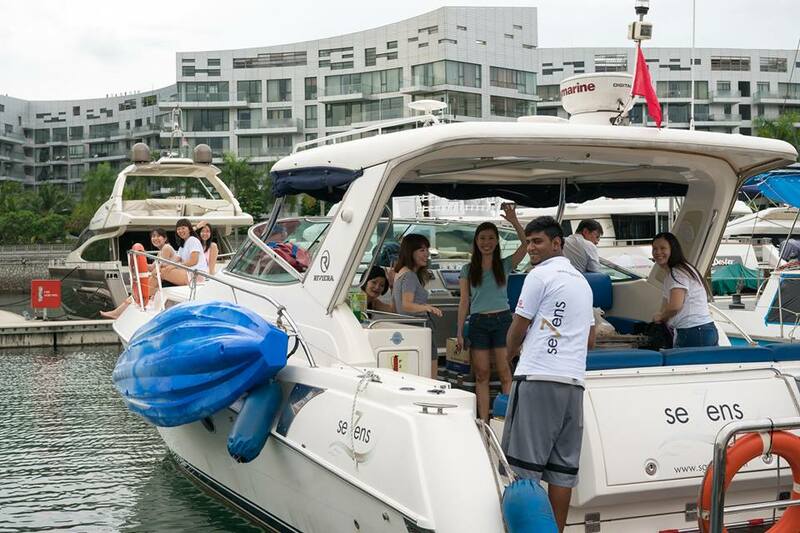 Now, thanks to the good folks of Yachtly, even the most regular of Singaporeans can experience living the high life on the high seas. 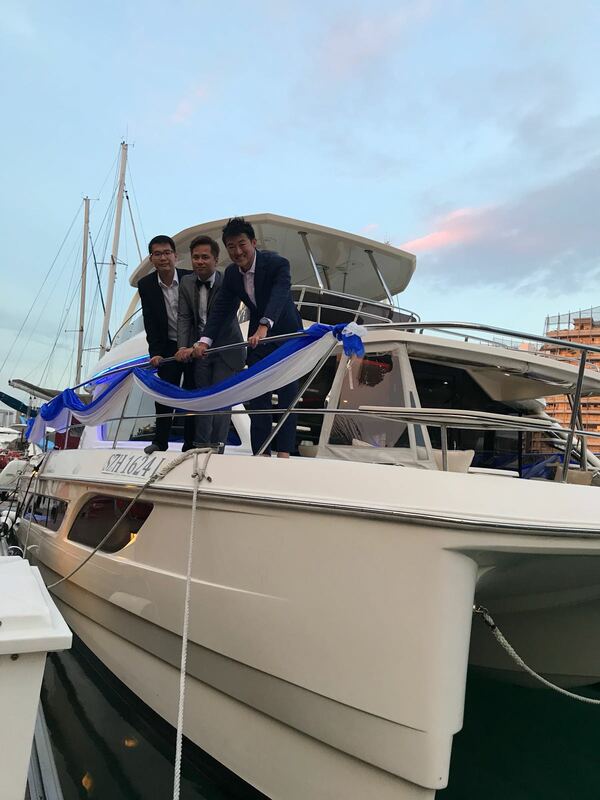 Yachtly is a yacht and boat chartering platform in Singapore that provides short-term chartering for celebrations, corporate events, weddings, and getaways for family and friends. 33-years-old Jacky Yeong and Bernard Tay were secondary school friends who bonded over their common interest in wakeboarding over the years. Their initial business idea came about when they found it cumbersome to rent a boat for themselves to wakeboard. 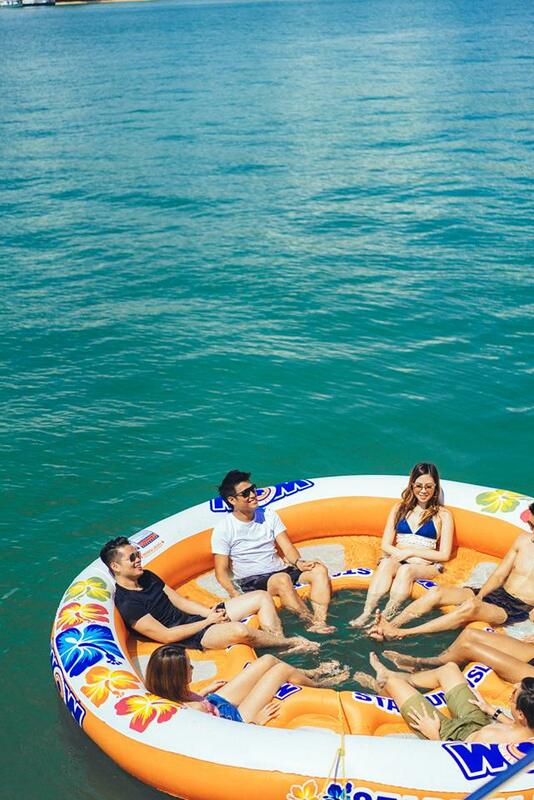 As technology advanced and the sharing economy grew, Jacky came up with the idea of creating a platform-sharing business in the water sports industry to make booking water activities in Singapore accessible and less of a pain. Naturally, Bernard supported him in this venture and they started a plan to test this concept in 2015 when they set up WaterSpot. Their initial business plan saw the duo search the island-city looking for water activities providers. “However, this did not go according to plan as many vendors did not see the real value that we provide, and were contented with their current business, or would only like us to work exclusively with them,” Jacky said. Jacky then met Fu Shiheng (30) when they were serving their National Service and had kept in contact, and it was in their casual meetups that Shiheng came to know of Jacky’s venture and its challenges. Shiheng saw the opportunity to learn and contribute to the business and offered to play devil’s advocate at first. But as the business grew, he joined the team. 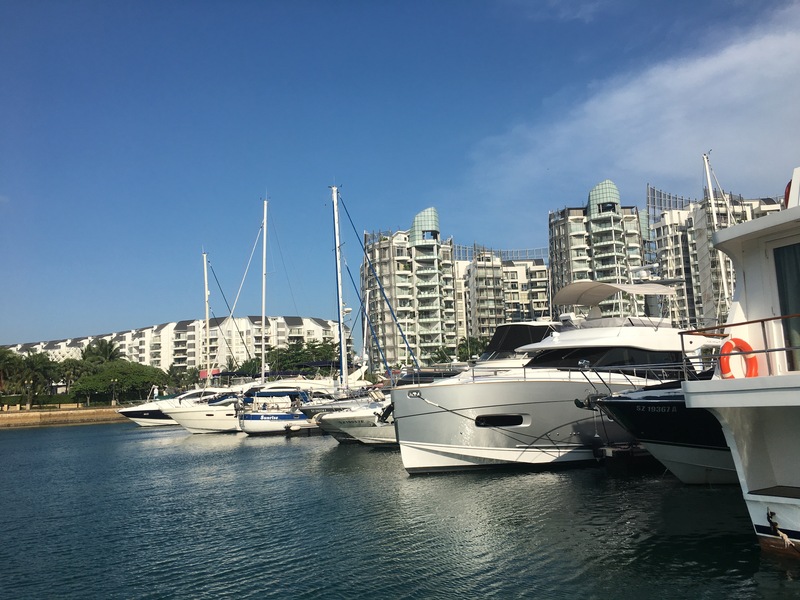 A mutual friend of Jacky and Bernard then suggested that they should look into renting lifestyle boats instead as it is gaining popularity in Singapore. That was when they realised the larger untapped potential in that market. There were many unused boats and yachts in the marina and a steady pool of clients looking to rent boats, Jacky explained, so they then decided to focus on understanding the boat rental and chartering industry here. In mid-December of 2017, Yachtly was launched. They revamped their website and started approaching yacht owners and captains to list their boats with them, marketing via word-of-mouth, and investing a little in Google Adwords. Even though there were already predecessors that were more like agents or brokers, Yachtly received positive responses from both vendors and clients. “The rebrand was a more accurate reflection of the business, with a touch of fun and easy-going to it,” Jacky shared. The SMU graduate, who majored in Finance and Public Relations, believes that “technology can improve efficiency, enhance trust and transparency, [and] provide a foundation to scale the business beyond Singapore”. The platform works like Airbnb; simple and straightforward. 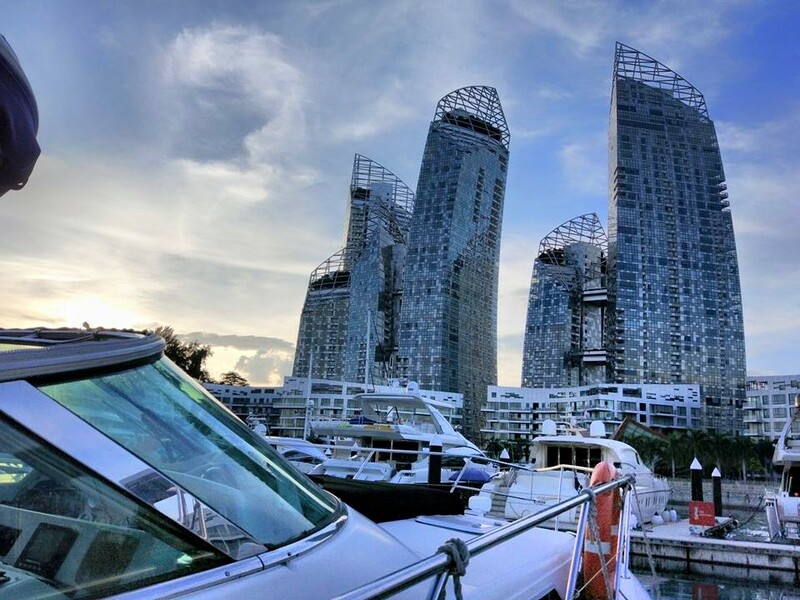 Renting a yacht on Yachtly starts from $400 – lesser than a night at Marina Bay Sands! However, they don’t consider themselves an ‘Airbnb for yachts’, or at least not yet. “Unlike Airbnb that lists homes from private owners, our current model is to list yachts from owners who are already running their yachts as businesses,” Jacky explained. He went on to say that they will continue to learn from “leading companies in the sharing economy” such as Airbnb, and improve and change “to keep abreast with [the] best practices”. Prior to starting out, the founders spoke to boat owners on the marina to educate themselves on the industry. The boat owners “who were more open” were “typically supportive” of their ideas and saw Yachtly as an initiative to help them bring in more business. “They are also aware of the pain points of coordinating for rentals such as the numerous back and forth exchanges, and payment issues, etc.,” Jacky shared. Even so, Jacky understands that there are other owners who are still comfortable with the status quo or who needs more help from them. “We guess that is natural given that we are still growing our market share, and will eventually give them a reason to adopt our processes,” he said. Jacky is in charge of business development and takes care of the strategy and technology behind Yachtly. On top of overseeing the overall business direction and managing a team of coders to bring his vision to life, he introduces new products and services and building relationships with partners. Bernard, who is a Banking and Finance graduate from the UK’s University of London (UOL) and Lead College, London School of Economics and Political Science (LSE), heads the operations department at Yachtly. Shiheng is also a Banking and Finance graduate, but from NTU. He is in charge of the Finance and Strategy, working closely with Jacky to chart the company’s direction, and Marketing departments in the company. Even with all their knowledge and expertise, running a smooth-sailing business is not guaranteed. So their solution was to build a trustworthy and user-friendly website. Yachtly’s website includes a ‘live’ chat function so they can address customers’ questions quickly, and added a “Class” category so customers can identify and choose the boats they want with ease. The founders themselves also populate the site with high-quality pictures, videos, and 360-degree images to show each of the boats in their current states. Next, they “developed an algorithm to address variability in prices”. With transparent, upfront pricing, this removes friction for everyone coordinating the bookings, and bolsters customers’ trust towards the company, Jacky said. Finally, they encourage clients to leave reviews as a testament to their experience onboard a particular boat and seek out external reviews by publications to tell their story, which Jacky thinks lend credence to Yachtly. 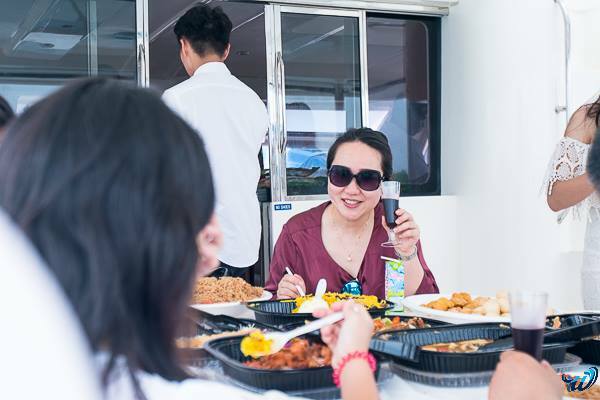 “We also work with vendors to append the specific amenities that are onboard, as well as those that require extras (such as BBQ pit, jet-ski),” Jacky explained. 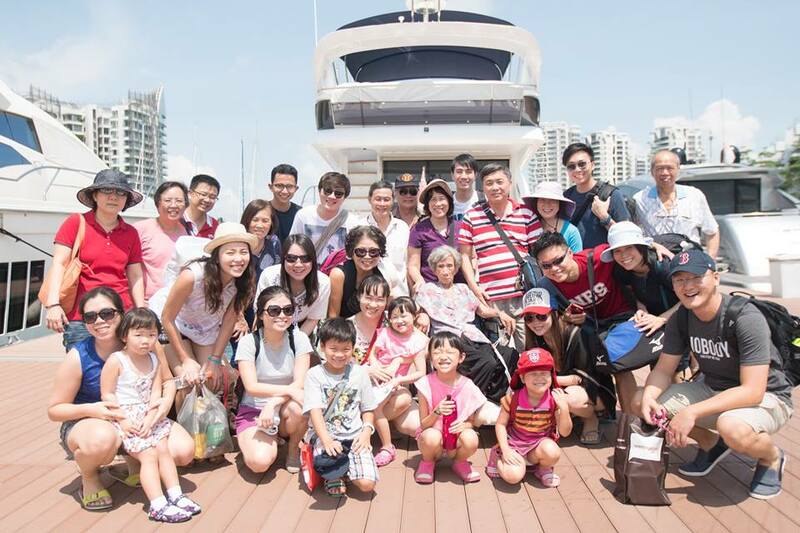 One of their memorable challenges since the inception Yachtly was organising a corporate event for a Chinese client who had booked three large yachts from them. Since their WaterSpot days, they have facilitated more than 700 charters. “We were largely boot-strapped since we decided to start the business. Prior to Yachtly, the initial investment made in WaterSpot was around $12,000,” Jacky told me. Despite facing strong competition from ‘old-timers’ in the industry, Jacky believes their advantage lies in their use of technology which makes booking a yacht fast and secure for the customer. Compared to “traditional agents who can either over or under-inflate prices”, Yachtly’s transparent pricing model lets customers pay for what they want. Their e-commerce approach allows them to distribute their resources more effectively so that they can focus on developing and marketing their products and services. Now they have a total of 25 yachts on the platform and are aiming to incorporate all of the business yachts by the end of the third quarter this year. “We do not have a presence overseas as yet given the small team size,” Jacky stated. 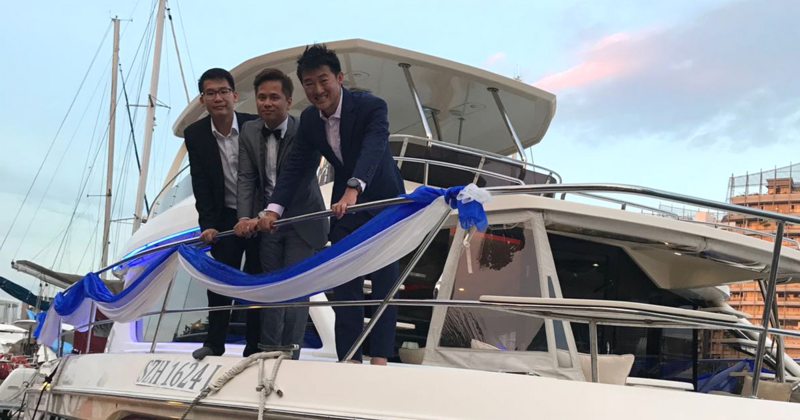 Apart from the continual improvement of their website, Jacky said they will continue to develop their products and services “to make yacht rental even more affordable and fun”. They also want to form strategic partnerships with “complementary brands to expand [their] market share” and increase brand awareness. “[We] are on the lookout for funding opportunities so that we can solidify our local presence, as well as expand regionally to capture a growing market, supported by unique regional waters and the rising middle-income bracket group,” Jacky said. Sail-cations are now the new staycations! Visit Yachtly’s website here. Follow them on Facebook here and Instagram here.